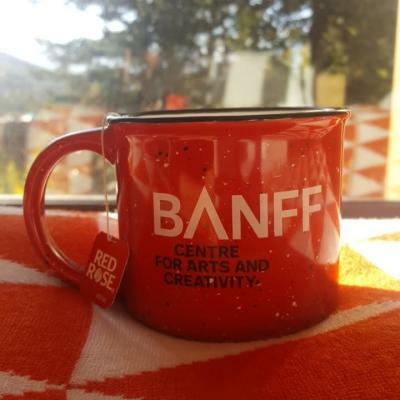 The Banff Centre, formerly known as The Banff Centre for Continuing Education, from 1933 to 1970 The Banff School of Fine Arts is an arts, cultural, and educational institution and conference complex located in Banff, Alberta. 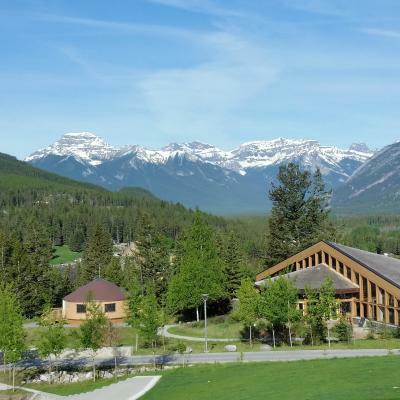 The Banff Centre is part of Alberta's post-secondary educational system, and offers programs in the performing and fine arts, and leadership training. I was there only briefly but saw the beauty of the place! 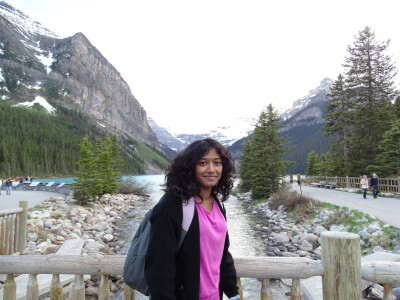 The Banff Centre has great places to eat, sleep, learn and see great performances. The Banff Centre is so beautiful! 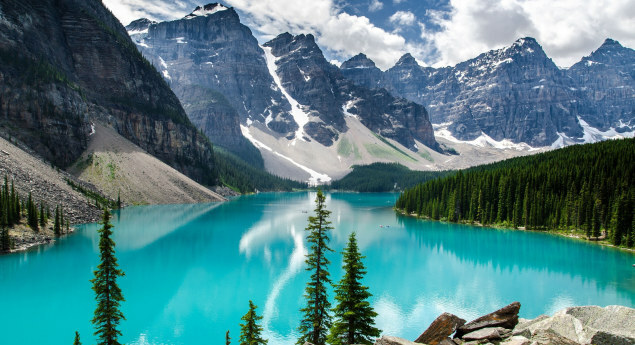 If I ever need to be inspired, I'll go to Banff...or anywhere in the Rockies really. I have yet to really explore them, but am never disappointed by the views. This summer my friend from Spain came to visit and I got to show him Jasper, Banff and the Columbia Icefields during a very 'in the moment' road trip. I got to show him all around my city of Calgary, but to be able to show him some of the most beautiful places in Canada was so awesome. I love that there are such majestic places in my backyard! When you go to these places you end up feeling rejuvenated and just amazing all around. The mountains and forests are a place to reflect and be at one with your mind and not be stressed about things going on outside of the moment. It's places like these that make me proud to live in Canada. In the Rocky Mountains, valley bottoms are critical. Not only do they provide high quality wildlife habitat, but they also offer a way for wildlife to move through an otherwise inhospitable mountain environment. Valleys are also important to people. 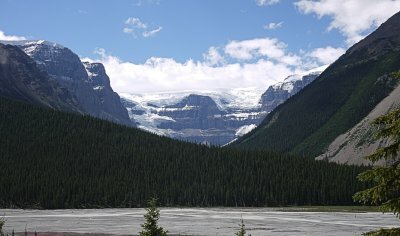 Most human activity in the Rockies, including roads, railways, buildings, trails and facilities, is confined to the valley bottoms. This competition for space poses a significant problem, especially for wide-ranging species such as wolves and grizzly bears. 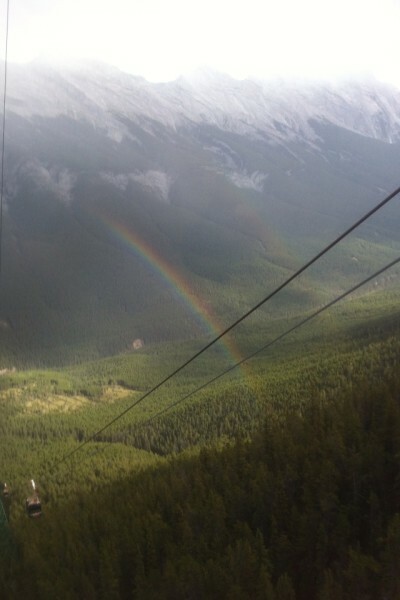 This picture is taken form inside of a gondola at Banff and this picture shows the two rainbows one very vibrant and the other starting to appear. I really love this picture because, at the time when I took this picture, that day was very gloomy also very cold and since it was cold and cloudy, there was no sun out, at least not anywhere near the gondolas. When returning back to the bottom I noticed the two rainbows. I took this literally by a surprise, maybe it was because I had never seen two rainbows at the same place and at the same time and to add on to that, the same shape. This doesn't seem like that good of a story, but I now realize that this one picture has so many metaphorical meanings that I happen to be thinking of new ones every time I see it. This picture to me shows that gloominess doesn't have to be boring. Gloominess can change and turn in to anything, anything because I never imagined my face lighting up just because of a rainbow. This picture can also mean, there is beauty beyond what seems attractive, if you look beyond the rainbows in this picture you can see the magnificent, huge mountains that are all so aligned and straight, almost similar to the stand pose of a soldier. This picture also portrays that just because the day may be cold and gloomy and the a storm may be on its way, doesn't mean that it may not shift in to something good, this being the very opposite to the saying that goes - "Rainbows always appear after the storm".